Firerisk.info is pleased to now share a free digital copy of the book in PDF form to the public. By downloading any of the contents of the book that is located on these pages the end user agrees to use the book for private use only. The end user shall not distribute these materials in any form without express written permission from the author. If you wish to use this book or any of its contents for any purpose other than private use or wish to distribute this book in any form, please contact Thomas F Barry at tbarry@tfpub.com. Thank you. Fire safe design responsibility and implementation, which inherently involves risk-minimization and risk-based decision making, involves the interaction of many groups: Architects, facility and process designers, fire protection and safety engineers, loss control and risk managers; review and approval groups including building code officials, fire marshals, regulatory agencies, and insurance companies. This book describes a fire risk assessment process that can be understood, integrated, and adopted by all the above risk-based decision makers. 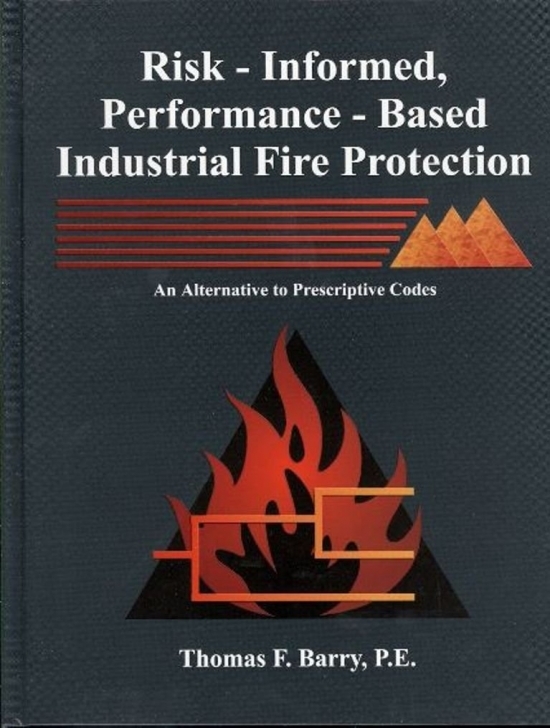 Having the "Risk‑Informed" dimension provides a path forward for situations where the application of prescriptive codes may not be feasible or cost-effective, where the application of performance‑based deterministic modeling to meet code equivalency has many uncertainties, or where there is a desire to conduct cost/benefit analysis of numerous fire protection alternatives. 1. New construction projects where code requirements are hampering the design of innovative process facilities, structures, or new technology operations. 2. The need to develop fire risk reduction alternatives and cost/benefit analysis to comply with recommendations (which may not appear cost effective) made during fire inspection surveys, made by insurance companies, or from regulatory compliance audits. 3. Risk management concerns such as, "what are my biggest fire and explosion risks?" 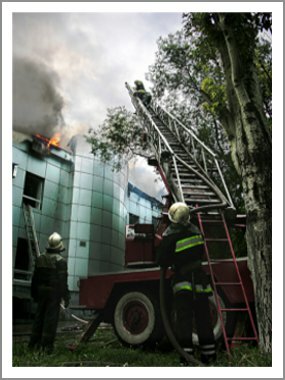 (risk‑informed information); given a fire, how well will the fire protection systems perform?" (performance‑based information); how do I optimize the available fire risk reduction budget?" (cost‑benefit analysis).